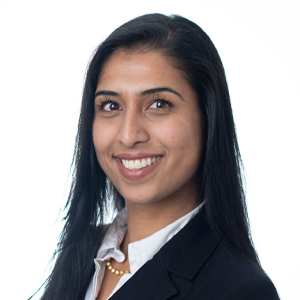 Parminder Saini has been a Licensed Paralegal since 2012 and is in good standing with the Law Society of Upper Canada. She works closely with the lawyers of the firm where she heads the Accident Benefit department at Avanessy Giordano LLP. Parminder is involved in matters ranging from minor injuries to chronic pain and catastrophic cases. She works diligently to build each client’s file to ensure that the best possible outcome is achieved. She is a graduate from Seneca College, where she obtained her diploma in the Court and Tribunal Agent studies. Parminder also holds a certificate for Alternate Dispute Resolution. Parminder is fluent in Punjabi and conversational in Hindi and Urdu.